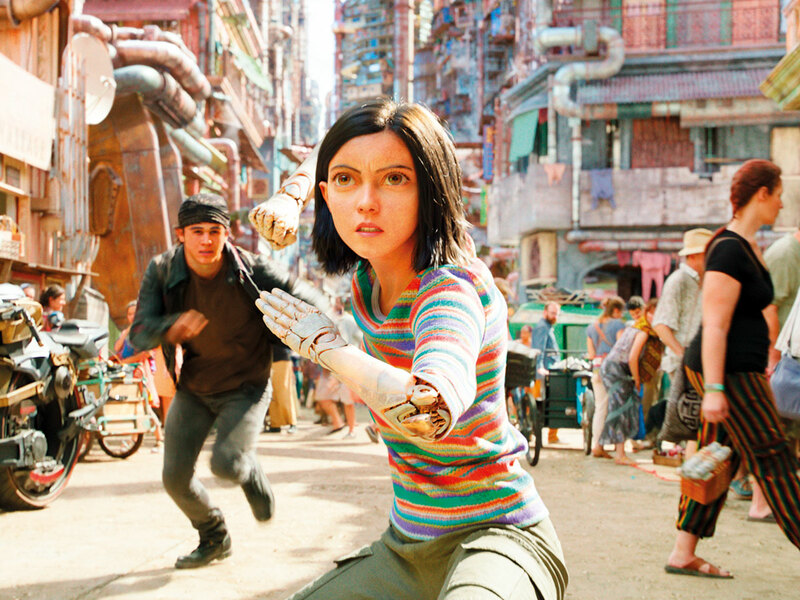 In ‘Alita: Battle Angel’, Rosa Salazar breathes remarkable life into the title role of an amnesiac cyborg who wakes up in a post-apocalyptic dystopia, searching for answers to who she is and where she came from. So perhaps it’s appropriate that a multitude of distinct moments from past lives remains vividly with the 33-year-old actress. There was the childhood spent in Washington, DC, and neighbouring Hyattsville, Md, eating Peruvian food at her grandmother’s home and listening to her sing in Quechua. The Nomadic teen years spent wandering across America, hungrily amassing an unorthodox education in a spectrum of human experience from Puget Sound to St. Augustine, Fla. The wild times bartending and living behind a Washington, DC, punk bar, feeling the growing professional pull of becoming a storyteller, despite having no clear path to accomplish the goal. And the spark that finally led Salazar to invest her hustle into her dreams, picking up and moving to New York City with her pit bull G.G. (named for GG Allin, naturally), where she would launch her career. “This job is like winning the lottery — 70 times — and then you have to keep winning the lottery,” Salazar marvelled on a bright January day, chatting in a Loews Hollywood suite with a view of rolling hills that have witnessed many a Hollywood dream born. Warm, energetic, quick-witted and self-deprecating, Salazar has a natural charisma so forceful it lights up a room. Currently on screen in a supporting role in the Netflix hit ‘Bird Box’, Salazar’s major studio lead debut will come in ‘Alita: Battle Angel’, a sci-fi epic directed by Robert Rodriguez and produced by James Cameron. Salazar, who lives in Los Angeles, is candid when it comes to the hard work it takes to find success in Hollywood. Roles on TV’s ‘Parenthood’, ‘American Horror Story’ and ‘Man Seeking Women’, in the indie ‘Night Owls’ and entries in the ‘Divergent’ and ‘Maze Runner’ YA franchises have highlighted her steadily growing filmography. Like every actress in town, she jokes, she had auditioned for Cameron’s long-gestating passion project (which he first announced in 2003 and publicly handed to Rodriguez in 2015). But some time had passed, and Salazar has never been one to hang her hopes on others. “They saw every actress in the world for this thing,” she said. Only a few weeks ago, two years after shooting began on ‘Alita’, Salazar made the nerve-racking drive to Landau and Cameron’s Lightstorm compound in Manhattan Beach to watch the finished film by herself. Physical production had wrapped long ago, “but I hadn’t lived without it for one day,” said Salazar. She started crying the moment she saw the 20th Century Fox logo on-screen. “I love movies. I love film. And that logo is so iconic to me — the searchlights popping — that immediately I was overcome with a range of emotions,” she said.